Columnaris is a common bacterial infection in aquarium fish, particularly livebearer fish (guppies, mollies etc) and catfish. Its name is derived from columnar shaped bacteria, which are present in virtually all aquarium environments. The Columnaris bacteria is most likely to infect fish that have been stressed by conditions such as poor water quality, poor diet, or stress from handling and shipping. 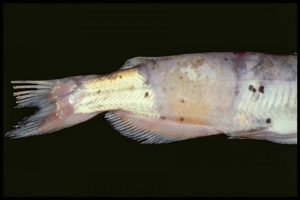 Columnaris can enter the fish through the gills, mouth, or via small wounds on the skin. The disease is highly contagious and may be spread through contaminated nets, specimen containers, and even food. High water temperature accelerates the progression of the disease; however lowering the water temp will not affect the outcome of the disease. Most Columnaris infections are external, and present first as white or grayish white spots on the head and around the fins or gills. The lesions may first be seen only as a paler area that lacks the normal shiny appearance of the rest of the fish. As the lesion progresses it may become yellowish or brownish in color and the area around it may be tinged red. Lesions on the back often extend down the sides, giving the appearance of a saddle, leading to the name saddle-back that is often used to describe this symptom. On the mouth, the lesions may look moldy or cottony, and the mouth will eventually become eaten away. 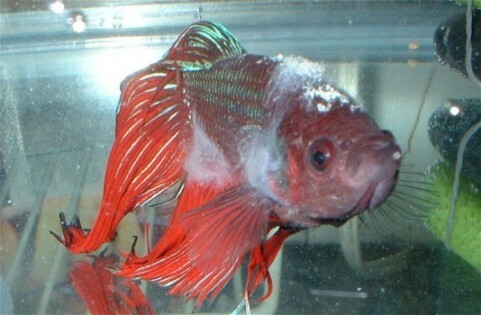 The fins will erode and have a frayed appearance as the infection progresses. The gills are affected, too. As the bacteria invade them the filaments will disintegrate, resulting in the onset of rapid breathing or gasping in the fish due to lack of oxygen. Less commonly, the infection will take an internal course which often displays no external symptoms. In these cases, only a necropsy and cultures will point to the true cause of death. External infections should be treated with antibiotics, chemicals in the water or both. Copper sulfate, Acriflavine, Furan, and Terramycin may all be used externally to treat Columnaris. Terramycin has proven to be quite effective both as a bath, and when used to treat foods for internal infections. Salt may be added to the water to enhance gill function. 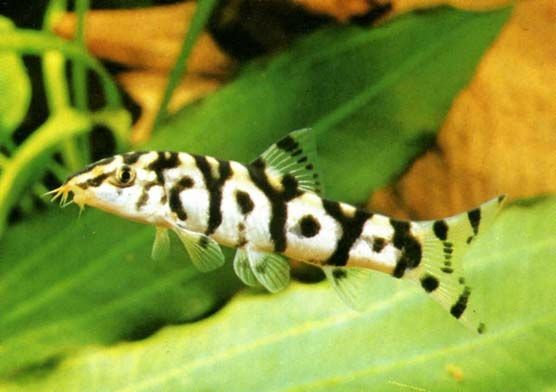 Livebearers, in particular, will benefit from the addition of salt; however, use caution when treating catfish, as many are highly sensitive to salt. When in doubt error on the side of caution when using salt. Because the bacteria thrive on organic wastes, the potential for Columnaris outbreaks can be controlled by regular water changes and tank maintenance, including vacuuming of the gravel. Proper diet and maintaining good water quality in general will keep the fish from being stressed and therefore more susceptible to infection. Placing new fish, and promptly moving any sick fish to a quarantine tankwill help prevent the introduction and spread of the disease. To avoid spreading the bacterium to other tanks, nets, specimen containers, and other aquarium equipment should be disinfected before each use. 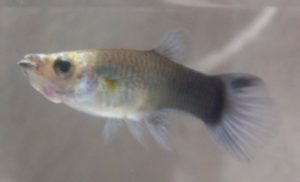 Small quantities of aquarium salt can be used regularly as a prophylaxis to prevent disease in livebearer aquariums. When fish are being shipped or moved they are under stress, which leaves them open to contracting diseases. To give them a better chance of remaining healthy they may be given prophylactic antibiotic treatment or fed medicated food.